An open letter to TSheets Family and Friends – and every startup out there who’s swinging for the fence. Some people say work hard enough to where your idols become your competitors. I say work hard enough to where your idols become your teammates. I could not be more excited about what joining Intuit will mean for our customers, employees, and partners, and together, the potential to help millions of small businesses around the globe. To our valued customers: TSheets and QuickBooks are already like peanut butter and jelly — and the recipes coming together will only mean great things for you. Similar to Intuit, TSheets has built an amazing product, created a strong company culture, and most importantly built a reputation on outstanding customer support. TSheets and Intuit share an obsessive customer-centric vision. Together, we will provide better tools to run your businesses and make your lives easier. To our TSheets employees: A new chapter of our journey has just begun. Our team of 260 rock stars — who have made TSheets what it is today — will unite with 8,000 like-minded and brilliant individuals who share the same passion to innovate and deliver excellence. Our mission to help small businesses succeed will continue, and we’re going to do it together from right here in Eagle, Idaho. 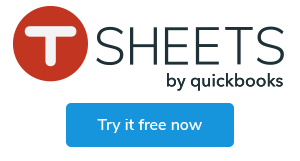 To our accounting partners and friends: We will transition from 16,000 Accounting Partners who get to use TSheets for free, to be available to over 600,000! We are excited for what this means for your businesses and your clients as you continue to champion their cause and provide them with the real business insights they need to thrive. To our partners: TSheets will remain an open platform by maintaining and building partnerships with other best-of-breed solutions. We believe that together with Intuit we will accelerate our ability to deliver seamless end-to-end experiences for the customers we mutually serve. To our Treasure Valley Community: We’re proud of our roots and to call Eagle, Idaho our home. Once we’re an Intuit company, we will continue to be a part of — and invest in — our local economy, adding jobs and continuing our community involvement. People have asked me if this is what I have always dreamed of, and this may surprise you… my answer is no. While I am incredibly grateful for the opportunity this provides my team, my company, and my family, it is still only a milestone. The TSheets Team will just be getting warmed up when we become a part of Intuit! After this deal is closed, rest assured, I’m not going anywhere! I love to build companies and teams that accomplish the un-accomplishable. I’m fortunate and humbled to continue growing TSheets as part of Intuit, led by CEO, Brad Smith, a friend and mentor, with the Small Business Self-Employed team who pour their heart into their mission of supporting those who dare to dream. Thank you from the bottom of my heart to my family, co-founder, teammates, partners, friends, shareholders, and avid supporters. Matt isn’t your average CEO -- he doesn’t have an Ivy League diploma, but he does have a history of breaking the rules. He believes in working really hard, but playing even harder (and you’ll often find him roaming the halls of TSheets with a ping-pong paddle in hand), and he’s not afraid to do whatever it takes to win (both on and off the ping-pong table). Learn more.